Description: Recommended enhancement: Fighter. 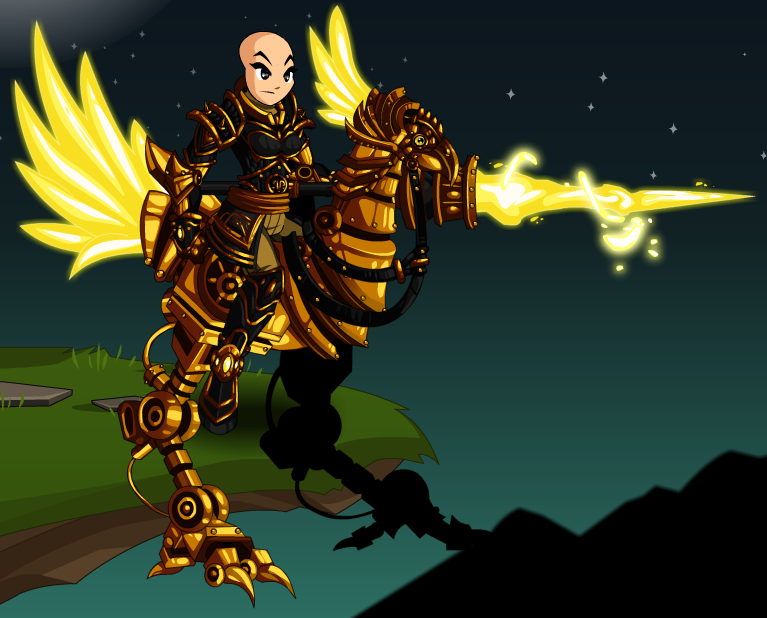 Crash into battle on your clockwork steed! Description: A not so basic attack taught to all Jousters. Deals bonus damage on your First Strike… CHAAARGE! Has a chance to stun off balance targets. BUG WARNING: THIS ABILITY IS BEING REWORKED. Note: Stun lasts for 3 seconds. Description: A moderate attack that can puncture your targets armor with enough momentum or knock your opponent off balance with enough precision. BUG WARNING: THIS ABILITY IS BEING REWORKED. Punctured increases opponents incoming physical damage by 50% for 11 seconds. Off Balance decreases opponents dodge by 30% for 12 seconds. Description: Deals light damage and for the next 6 seconds your accuracy is greatly increased. If your opponent is already punctured he will begin to bleed for damage over time. Gives your thrust attacks the ability to knock your opponent off balance, greatly reducing their chance to dodge. BUG WARNING: THIS ABILITY IS BEING REWORKED. Increases hit chance by 30%. Description: Repairs your mechanical parts restoring a moderate amount of health. BUG WARNING: THIS ABILITY IS BEING REWORKED. Description: Increases endurance 15% 20%. Description: A battle cry granting the jouster a boost in momentum. Increases haste while greatly increasing the damage of your First Strike in combat and damage slightly and damage by 20% for 10 seconds. Also gives your thrust attacks the ability to puncture your opponents armor demoralizes your opponent increasing the damage they take from all sources by 20% for 10 seconds. BUG WARNING: THIS ABILITY IS BEING REWORKED. Note: Does not actually increase damage slightly. Description: Joust attacks have a chance to give you “First Strike” in which for 6 seconds all joust and thrust attacks are as powerful as your first strike. Damage increased by 15%. Note: Currently this skill does not work. 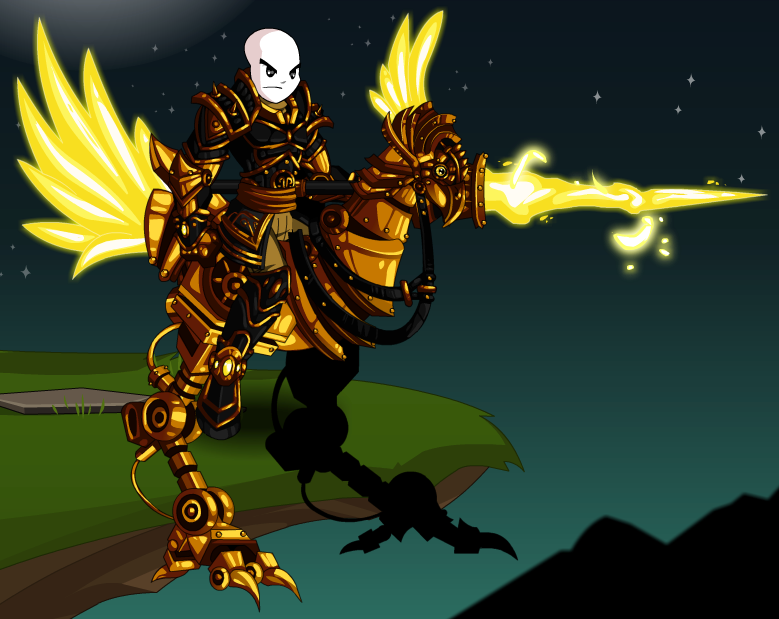 Thanks to Counterswitch, PkerSlayer, TheAmazingAsuka, Zero IX and _Black_Aqw_.